Posted at: 4/10/2012 07:17:00 PM . This weekend, you can enjoy a free small popcorn at AMC Movie Theaters. 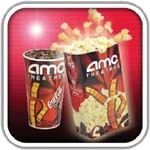 To help you relax from tax season, AMC will give you a free small popcorn from April 13-15, 2012. Just print the coupon from Facebook and bring it with you to the movies.